We all have things about our smiles that we don’t quite like – gaps, crookedness, or even some long, pointy canines (the teeth that can resemble vampire fangs). 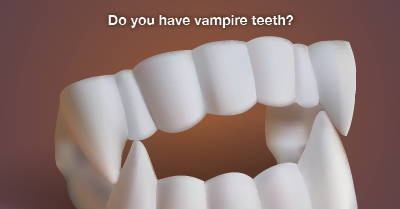 At my dental office in Lewisburg, we can advise you on the best ways to fix all of your dental problems, but in the spirit of the season, we’re going to dedicate this blog to educating you on how your pointy “vampire” teeth can be transformed. Your canine teeth are found on the top and bottom arches of your mouth and are the ones that look most like dogs’ teeth. The purpose of the canines is to hold, grasp, and tear food. While it’s normal for this type of tooth to have a pointy tip, there are some canines that appear much pointier. While there is nothing wrong with having a little extra pointiness in your teeth, patients often tell us that they’re self-conscious or get made fun of for their teeth’s fang-like appearance. There is actually a simple and inexpensive option your dentist in Lewisburg can offer to make your canines look more consistent with the rest of your smile and, yes, less pointy. Tooth reshaping, also known as tooth recontouring, is a treatment that can quickly and easily transform the shape, length, or surface of teeth. This cosmetic dentistry procedure is usually painless since only a small amount of surface enamel is removed to change the shape of the tooth. The tooth reshaping process requires an artistic eye as your dentist will use a sanding instrument to sculpt and whittle away any imperfections to create a brand new tooth shape. This treatment can also be paired with bonding, which uses tooth-colored material to sculpt and reshape a tooth. Both bonding and tooth recontouring are conservative dental techniques that can successfully transform and improve the appearance of your smile. In addition, not only can they create an entirely new tooth shape, they can also improve the overall health of your mouth. By removing any areas in which plaque and bacteria can thrive, your chance for decay and gum disease is greatly decreased. If you think tooth reshaping or dental bonding is the right treatment for you, or if you have minor imperfections in your smile that you’d like to have fixed, give my Lewisburg dental office a call today. We’ll discuss your goals and the best treatment for you. Serving patients in Lewisburg, Selinsgrove, and Williamsport. At my dental office in Lewisburg, we’re not just focused on making sure your mouth is healthy, we’re dedicated to ensuring your whole body is healthy too. One of the key aspects to living a healthy life is choosing the right foods. Not only can healthy food choices help your body be strong and well, eating the right foods can also lead to a happy, healthy mouth. Some of the basic rules of nutrition still apply when eating with your smile in mind. You should eat well-balanced meals and continue to follow the food pyramid guidelines. Filling your diet with plenty of veggies and fruits, lean meats, whole grains, and dairy keeps your body balanced and healthy, and most of these foods are great for your grin. Cheese. Cheese is high in phosphate and calcium and helps balance the acidity levels in the mouth. This can help keep keep bacteria away, which prevents cavities and gum disease. Celery. Celery is made mostly of water, which is always good for your smile. Chewing on this crispy favorite also produces saliva, which helps neutralize bacteria and keeps cavities away. Additionally, celery can act as an abrasive, cleaning between teeth and massaging gums. Apples. Like celery, apples contain a lot of water, which dilutes sugars in the mouth, including the ones found in the apples themselves. They also cause saliva flow to increase, again protecting against decay and washing away food particles and bacteria. Onions. Onions are packed with powerful antibacterial sulfur compounds, making them great for your oral health. They can be consumed cooked or raw, but they pack the biggest benefit when they’re eaten uncooked. Just be careful of the onion breath that tends to follow. Water. Your dentist in Lewisburg will always encourage you to drink more water. Water isn’t only great for your organs and whole-body health, it’s also beneficial to your mouth. By staying hydrated, your mouth is defended against bacteria. In addition to eating things that are good for your smile, you should also avoid foods that aren’t so smile-friendly. 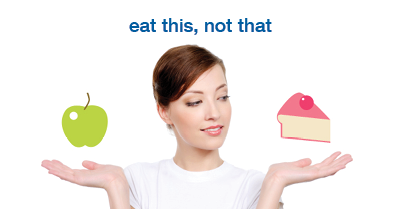 Stay away from, or limit the amount of, sweets, acidic foods, dried fruits, breads, pretzels, popcorn, and cakes and pies. Not only can these foods provide a great environment for bacteria to thrive, which can lead to tooth decay, some can cause tooth damage or even broken/chipped teeth. Besides eating right, another way to keep your smile in tip-top shape is to keep your regularly scheduled appointments at my Lewisburg dental office. We’ll make sure that your smile is in its best condition and ensure that there aren’t any problems lurking in your mouth. Give us a call to schedule your appointment today!